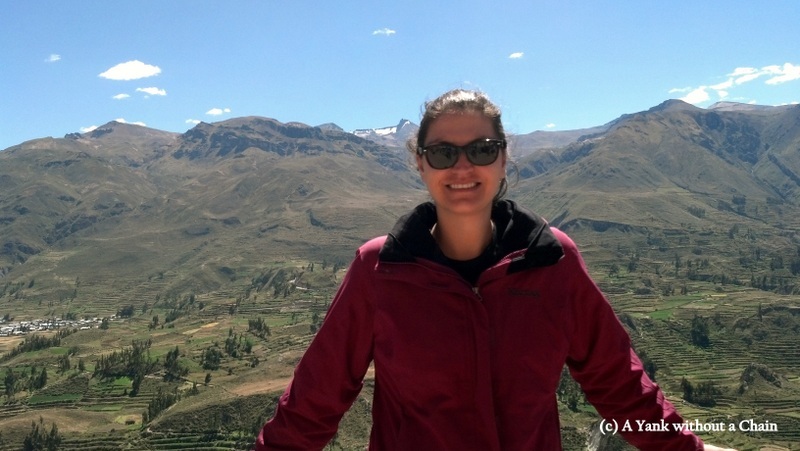 Peru was the first country on my RTW and it made for an excellent start. I spent 24 days in the country and visited five major sites (Lima, Trujillo, Huaraz, Cusco and surroundings, Arequipa and surroundings). My average daily budget was US$50, although I definitely splurged during my time in Cusco on some of the nicer restaurants (Uchu is highly recommended!) and did a bit of shopping. Due to a blockade between Copacabana, Bolivia and La Paz, I changed my planned route from going through Puno to Bolivia to going through northern Chile from Arequipa. It turned out to be a very straightforward and actually enjoyable border crossing (at least with a US passport). Northern Chile was not initially on my itinerary, but I’m glad I got to see at least a small slice of the beautiful desert beaches before heading back to the Andes. 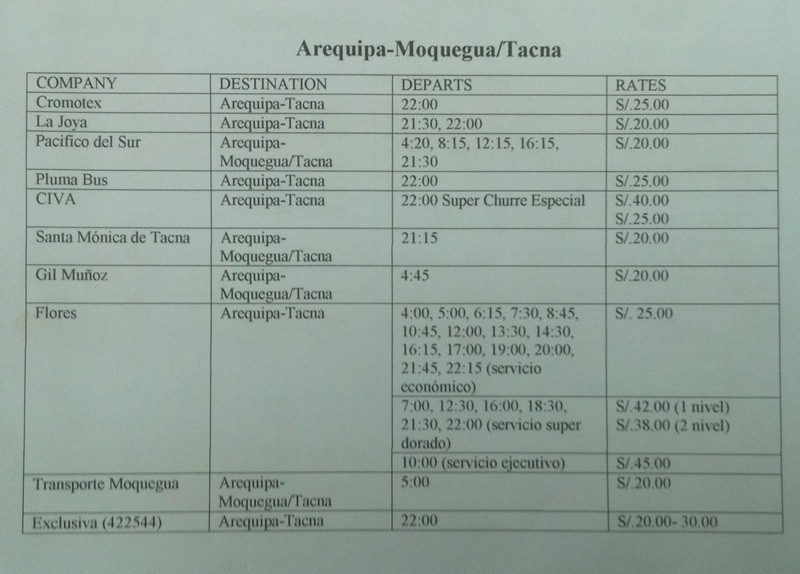 The first step was to take a bus from Arequipa down to Tacna. I chose to go with Flores based on some recommendations from other travelers and the modest price of 25 soles, but there are many other companies that run the same route. The full schedule is posted on the left. I had no trouble getting a ticket for the 6:15 bus on a Friday morning about 15 minutes in advance. Located a few hours’ drive outside of Arequipa, Colca Canyon is the deepest canyon in the world at 4,160 m (13,650 ft) and is an excellent location for hiking and learning about Andean culture. I booked a 3-day/2-night trip with Peru Schweiz (Jerusalen 400 A in Arequipa). There are 2-day options available, but if you’ve got the time the 3-day trip is definitely worth it. You hike a bit more slowly and get to enjoy more time in the canyon. I was picked up at my hostel at 3am and taken to have a basic breakfast. Then we stopped at the Cruz del Condor (Condor’s Cross), where we saw several condors showing off their wings. We were driven another 15 minutes or so to begin our hike. Although with the three day trip we only hiked about 3-4 hours each day, it is steep. Going down is a test of your ankles and knees, while getting out is a true test of lung capacity and endurance! The views and Andean experience are worth the pain. 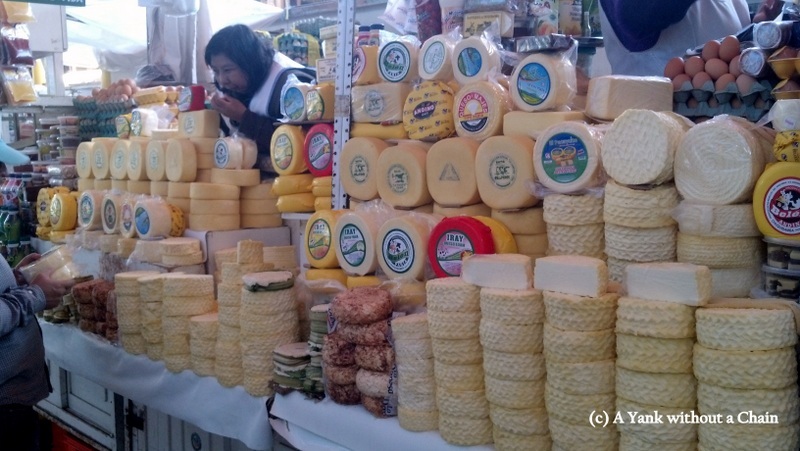 San Camilo Market in Arequipa is the oldest market in the city and is located just a few blocks from the Plaza de Armas. 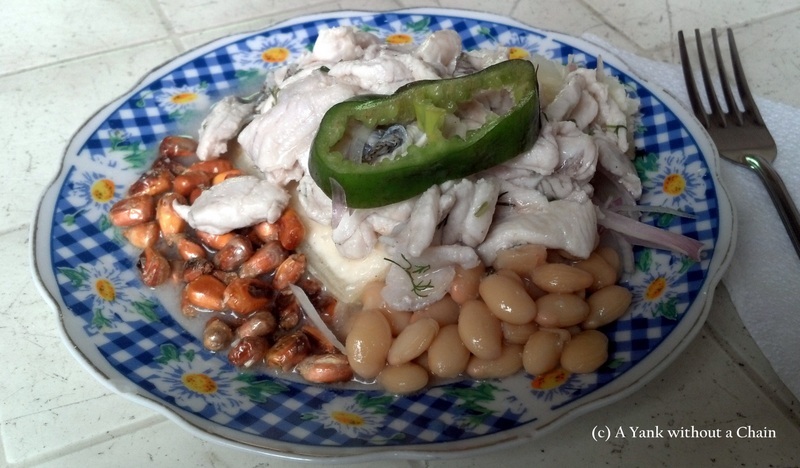 It’s a great place to stop in for a cheap lunch of ceviche and fresh juice, as well as a traditional queso helado on the second floor. Queso helado is a type of Peruvian ice cream, kind of a rich custard that can best be described at freezer-burnt vanilla ice cream, but in the best way possible. I spent a Saturday afternoon walking around and marveling at the huge array of fruits, meats, and other goods available. They certainly do know how to butcher and use every part of an animal here! 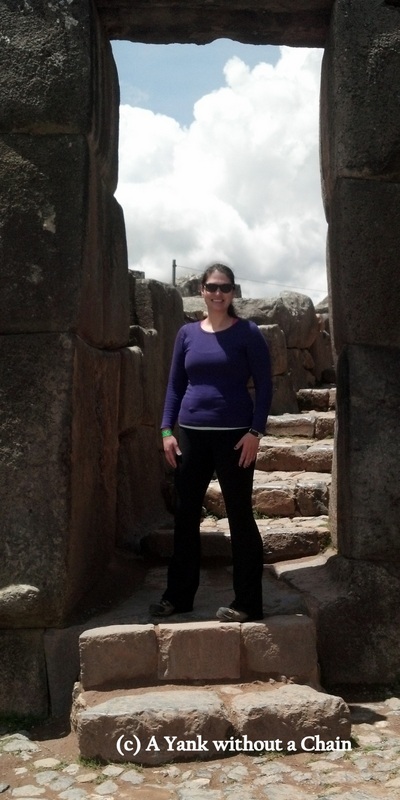 Although Machu Picchu and the Sacred Valley are the most famous Incan ruins, there are some highly accessible and impressive ruins just outside the center of Cusco. Although many tourists book a bus tour to visit the ruins for about 4-5 hours, it’s possible to hike them. It’s best to wait until you’ve acclimated for at least a day before attempting the hike, and allow for at least 7 hours, assuming you want time to see the ruins and perhaps get a guided tour on the ground. I’ve spent the past four days in the incredible town of Huaraz, nestled in the Cordillera Blanca in central Peru. The first 24 hours I was wiped out from the altitude change and didn’t do much of anything, and the second day I did a short hike just outside the city to acclimatize. 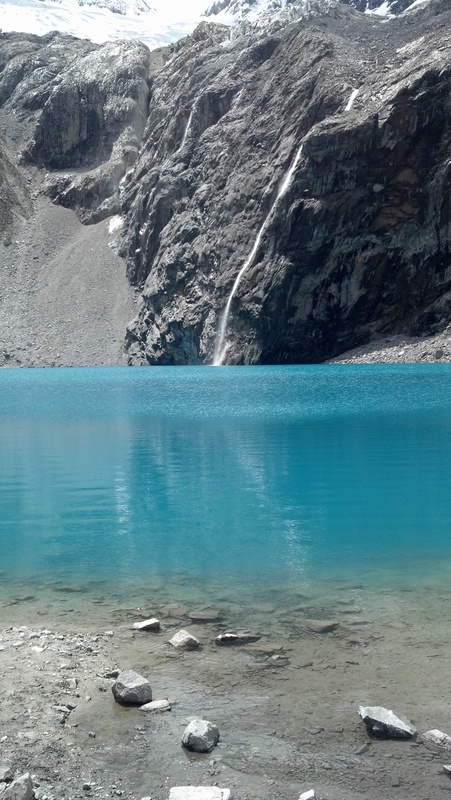 Finally, on my third day, I was ready to tackle a 4,600 meter high trek up to the glacial Laguna 69. I booked a day trip through through Galaxia Tours for 106 soles (includes guide, transportation, and lunch) plus the park fee of 5 soles. I was picked up at my hostel at 6 am, and after picking up two additional hikers we made our way north to Yungay, then headed up an extremely bumpy and dusty road to the beginning of the path. By 10:15 we were off hiking, kept company by cows, chinchillas and bright blue birds. Although we were told the hike would be 5 hours total – 3 up and 2 down – it actually took us a full 5 hours to get to the lake, mainly due to the altitude and several breaks that we took along the way. The suffering only made the payoff that much sweeter.